Available in either double- or triple-strands, our elegantly handcrafted necklaces wrap you in glamour. 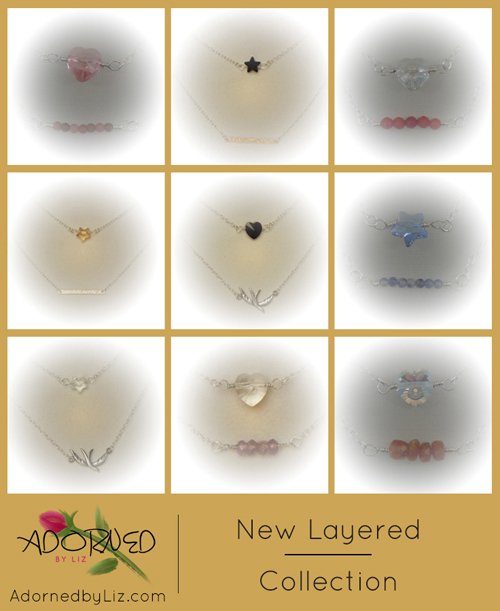 KILLEEN, Texas, February 23, 2018	(Newswire.com) - Adorned by Liz is delighted to be releasing their collection of multi-layered necklaces combining the best features of multiple necklaces without the hassle of struggling with several clasps March 1, 2018. Our Layered Collection includes dazzling Swarovski crystal hearts and stars, 14K gold-filled bars, sterling silver swallows and petite gemstone beads. Hearts symbolizing love, star lights piercing through the darkness, gold signifying wealth and swallows distinguished for their swiftness of flight and love of freedom. 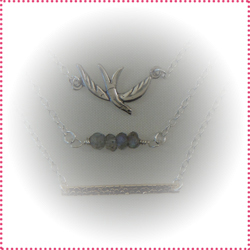 These symbols awaken the spirit and give the wearer a whole new perspective on life. 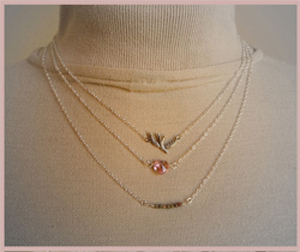 Our multi-strand necklaces are complimented by an unpretentious sterling silver chain which is flattering and feather light. Our larger-than-normal sterling silver clasp has never been easier to hook and won’t slip out of the fingertips. Our Layered Collection is sure to add unforgettable beauty to every woman’s ensemble. 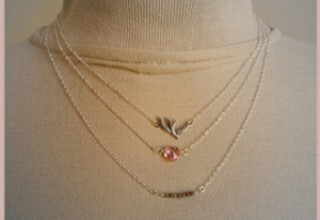 Our multi-layered necklaces are trendy, buzzworthy and smokin’ hot. They are the season’s most wearable trend. 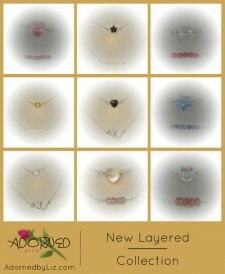 Adorned by Liz creates alluring handmade jewelry for women of all ages who want a dash of panache. 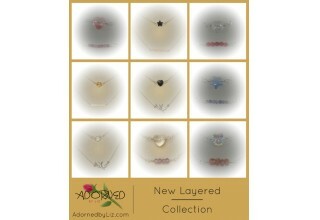 To learn more about Adorned by Liz and their Layered Collection, visit AdornedbyLiz.com. Subscribe at http://eepurl.com/bMtIC5 to receive discount codes and new product line release information. Hearts available in birthstone shades for January through December. A limited edition, irresistible greenery heart pendant is an enticing addition to the collection. 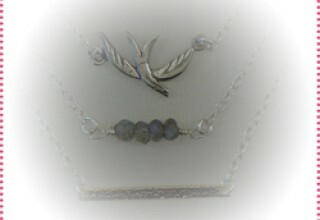 Pairing Swarovski crystals and sterling silver for a winsome combination.